A place for and about Latino authors and their books, and news from the book industry. Some Exciting Fall Updates and the Comadres and Compadres Writers Conference! As I encourage you to once again to sign up for the fast-approaching Comadres and Compadres Writers Conference on September 27th, I would like to share some news for fall, in part, to offer an incentive by showing you some of the many wonderful things that can happen to writers when they share their works with others and take that all-important step toward turning their writing passion into a career. 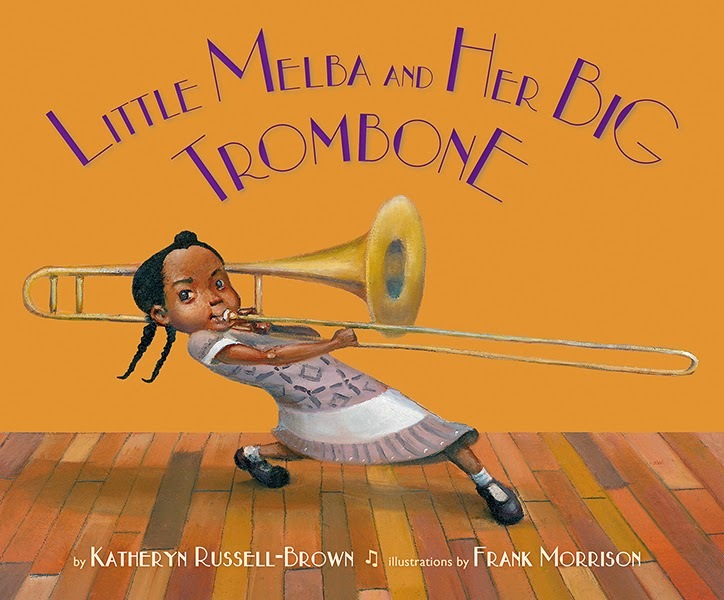 Debut picture book author Katheryn Russell-Brown's LITTLE MELBA AND HER BIG TROMBONE (Lee and Low) has received three starred reviews from Kirkus, Publishers Weekly and School Library Journal since its publication this September! The book has also just been listed among The Huffington Post's "50 New Picture Books for Fall 2014" and received accolades from the NY Journal of Books and The Horn Book's "Calling Caldecott" blog! I'm very excited for Katheryn, who, on a recent interview for The Brown Bookshelf, shared her book's "Back Story," a piece that offers a nice glimpse into how books get published these days. To learn more about this fabulous book and its author, visit Katheryn's website. 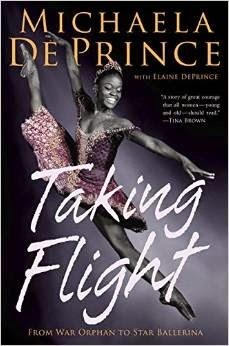 The amazing ballerina and star of the ballet documentary FIRST POSITION, Michaela DePrince's memoir TAKING FLIGHT: FROM WAR ORPHAN TO STAR BALLERINA and its Step Into Reading companion BALLERINA DREAMS (both from Knopf and co-written with her mother, Elaine DePrince), will debut in the US on October 14th. The memoir has already received a starred review from Publishers Weekly and received quite a bit of online buzz. The Dutch edition just launched in Michaela's current home city of Amsterdam on September 13th at the Dutch National Ballet's Annual Gala event to celebrate the opening of company's 2014-2015 season. Posters promoting TAKING FLIGHT can now be seen all over Amsterdam, I am told! The Dutch is one of TEN upcoming editions of the memoir to be published worldwide. A very exciting time for another debut author! For more about Michaela, and her books, visit her website. Eric Pierpoint, whom you may know from his other gig as an actor and his roles in Park and Recreation and Heart of Dixie among many others, is also a very talented children's book writer! 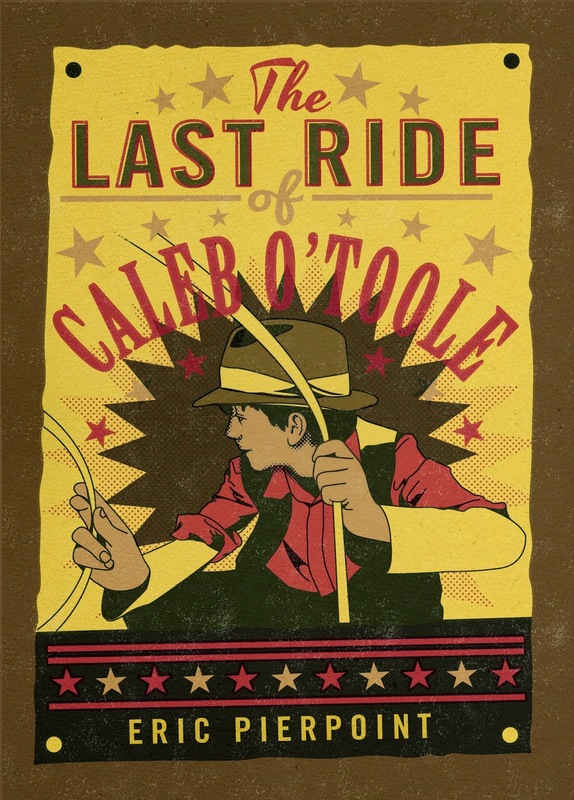 His debut historical fiction adventure THE LAST RIDE OF CALEB O'TOOLE (Sourcebooks) received the Mountains and Plains Independent Booksellers Association's "Reading the West Award" in the Children's category this summer! Read an interview with Eric about his inspiration for writing the book, and a sneak peek at his next one! For more information about Eric and his books, visit his website. 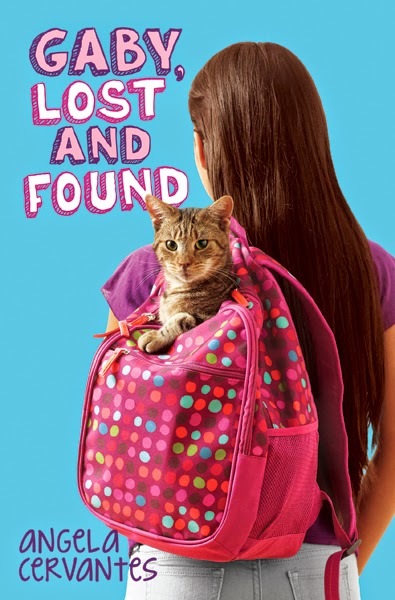 And speaking of awards, debut children's author Angela Cervantes won her first one this year for her funny, heartwarming middle grade novel, GABY, LOST AND FOUND (Scholastic). Angela and Gaby won First Place in the Chapter Book category at this year's International Latino Book Awards, presented at the American Library Association (ALA) Annual Conference in Las Vegas, Nevada, this summer. I'm happy to report that Angela is also working on her second book with Scholastic! For more information about Angela and her books, visit the author's website. 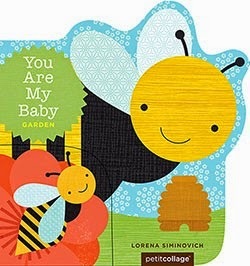 Petit Collage founder Lorena Siminovich's YOU ARE MY BABY: GARDEN (Chronicle) two-in-one board has just been listed among Parenting.com's "24 Best Baby Books of All Time!" While Lorena is a veteran illustrator with many books under her belt, You Are My Baby is the first board book series that she writes AND illustrates! Look for many more books in the YOU ARE MY BABY series, and another darling series of board books coming from Lorena and Chronicle in 2016! I feel very fortunate to work with such talented folks and overjoyed about their success. I hope that they inspire you as much as they inspire me every day. And of course, I hope that this will provide the little extra push you need to join our conference on September 27th. I'd love to meet more talented folks whose work I can display on another post next year! The Comadres and Compadres Writers Conference is on September 27th! Register now! 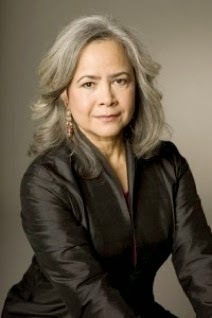 New York Times best-selling author of Conquistadora (Knopf, 2011) and the contemporary classic memoir: When I Was Puerto Rican. The 3nd Annual Comadres and Compadres Writers Conference, taking place at Medgar Evers College in Brooklyn, will provide Latino writers with access to published Latino authors as well as agents and editors who have a proven track record of publishing Latino books. Panels cover a wide range of topics including Craft Workshop for Adult and Children’s Books, Fiction and Non-Fiction, Writing for Children and Young Adults, and Self Publishing. For an additional fee, meet with an agent or editor! During the one-on-one session, you will receive valuable verbal feedback on your writing and its potential in the current publishing landscape. Las Comadres Receives the National Book Foundation's 2014 "Innovations in Reading Prize"! Las Comadres para Las Americas and its CEO Nora Comstock, author of COUNT OF ME: TALES OF SISTERHOODS AND FIERCE FRIENDSHIPS (Atria), is one of 2014's recipients of the National Book Foundations' "Innovations in Reading Prize," for their work to highlight and actively participate in the promotion of written works by Latino authors. Says the organization: "At Las Comadres para las Americas, our primary focus is to connect Latinas around the world in many different ways! Currently the programming for the approximately 20,000 members in over 85 cities is mostly in the U.S. Las Comadres members meet monthly in face-to-face gatherings in many of the network cities. Daily email messaging provides members with information about local, regional, or national events relating to book readings, performances, health and other gatherings, as well as job and other opportunities both local and national. Major emphasis is placed on Las Comadres and Friends National Latino Book Club and Teleconference Series, which offer a wide range of literary activities for our approximately 1,500 book club members in more than eighteen cities. National Latino Book Club members participate in book discussions at book stores in different cities. A teleconference with the author of the Book Club’s selected book takes place on the last Monday of each month. These activities provide exposure for many Latino authors striving to be recognized. 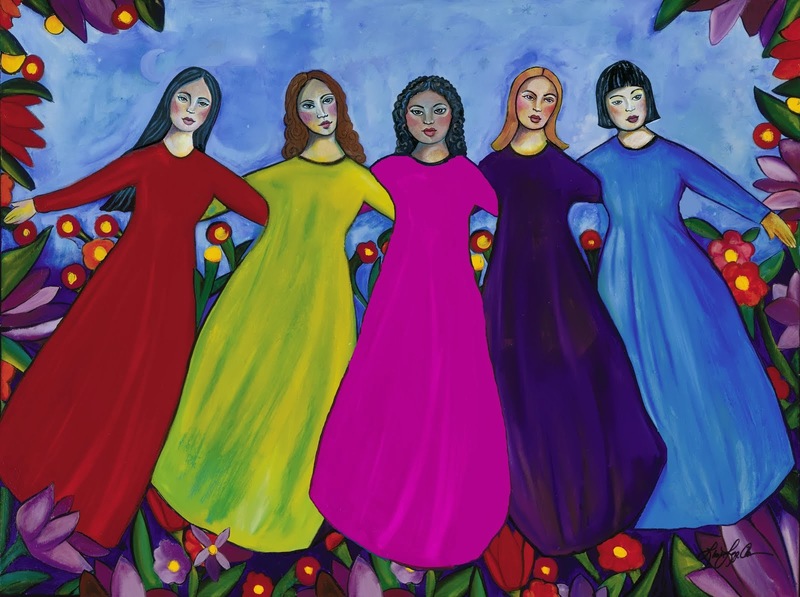 In addition to supporting our National Latino Book Club and Teleconference series, Las Comadres recently published a Las Comadres authored anthology, Count on Me: Tales of Sisterhoods and Fierce Friendships (Atria), edited by Adriana V. Lopez. We also organize a yearly Comadres and Compadres Writers Conference, which was cofounded by Las Comadres, Adriana Dominguez, and Marcela Landres and cosponsored with the Association of American Publishers and Medgar Evers College, Brooklyn, NY. Now entering its third year, the writers’ conference is scheduled for September 27, 2014." To learn more about the prize, visit the National Book Foundation's website. Click here to learn more about Las Comadres, their book, the upcoming Comadres and Compadres Writers Conference, and more. Join us! The #WeNeedDiverseBooks hashtag continues to top Twitter's "Trending" list today! It's a very exciting time for those of us who care about diverse books and have been plugging away at this for a long time. Our kids need this, we need this as a society, so that our books can be a true reflection of our culture. So if you have not yet joined the campaign, there is still time! Here is the information. And please remember that one of the most important aspects of it is to follow words with action: On Saturday, May 3rd, run out and buy a book written by a Latino, or two, or three, or five! And if you can't afford even one, check one out of the library, or tell your librarian if the book you seek is not available. Whatever steps you can take to increase diversity in the marketplace will be joined by those of many others, and if each of us does something, we could potentially change the publishing landscape. My little one and I will definitely be visiting our local bookstore (and library) this weekend! I've said it before and I'll say it again: Reading is the best gift that we can give our kids; and putting a book in their hands that somehow speaks to them directly is the best way to empower them to use their own voices when the time comes for them to do so, as children, and adults. So here are some Latino books you should know to get your started on your diverse books shopping list, in addition to the ones I listed in yesterday's post. These are some of my personal favorites, and the list is by no means exhaustive, so please free to add to it in the comments section below. We want as many books by Latino authors to get noticed (and purchased) as possible! Happy Reading! I am a literary agent with 15 years of experience in Latino publishing, most recently as Executive Editor at HarperCollins Children's Books, where I managed the children´s division of the Latino imprint, Rayo. Prior to that, I was Children's Reviews Editor at Criticas magazine, published by Library Journal. I've worked for a number of publishers, both on a full time basis and as a freelance consultant, on English and Spanish language books. All of this has provided me with a unique "insider's" perspective of this very important market that I hope to share with you, the readers of this blog.